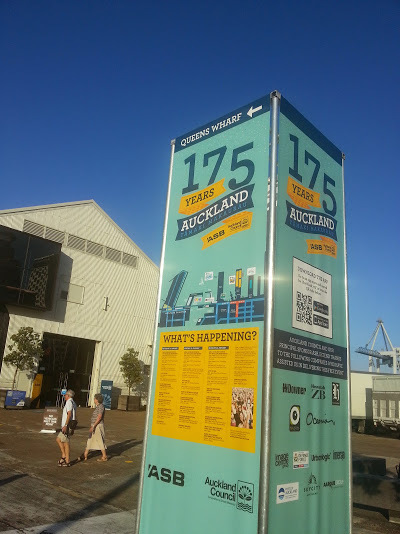 Over the next 3 days Auckland is celebrating its 175th anniversary with an incredible range of happenings. The full programme is available here. Most of the events are free and family friendly. Lower Queen St and Quay St in front of Queens Wharf is open for people to enjoy a temporary plaza. Map available here and accessibility details. It is incredible to think that our city is 175 years in the making. – Post-treaty barely seven generations, as my children are proud to be – so in the grand scheme of things this is a very young city and yet we definitely hold our own on the world stage. 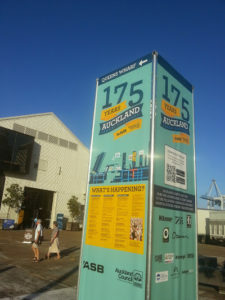 For our communities; mana whenua of much more established heritage, and the many who arrived later from all parts of the globe; the more recent by choice proudly calling Auckland home, Auckland is an increasingly attractive place to live. This weekend is an opportunity for all Aucklanders to celebrate their city, and where we are today. This weekend alone I can name well over a dozen events, activities and attractions that appeal to a wide range of ages and interests. The inner city communities are always blessed to have such celebrations on their doorstep. It isn’t just the diverse social calendar that appeals; we need to continue to focus on being a city that involves its people in their future. The Waitemata Local Board is not alone in its endeavours actively to engage with its communities. This is an integral element of people feeling part of a community which in itself is important to everyone’s health and happiness. I have been a part of Auckland all my life, in local government for 4 years, and seen this wonderful city of ours undergo many changes. As it passes this milestone it has never looked so good, never been so big, diverse and successful. I look forward to watching it grow and change for the better; always a place for people, as future plans are realised in the months and years to come. Congratulations Auckland and thank you to everyone who has helped along the way.